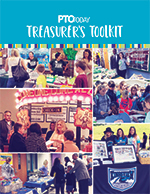 Looking for some expert advice on getting more parents involved, running a PTO or PTA auction, or serving as treasurer? Our toolkits are just what you need! 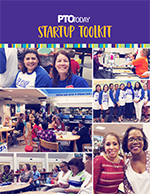 All toolkits and tools are free for PTO Today Plus members. Toolkits can also be purchased individually; check the details page for each guide for a full list of contents, links to download included tools, and pricing and ordering info. Getting your new PTO set up, incorporating your group, applying for nonprofit status, writing bylaws (including sample bylaws), and filing for tax-exempt status with the IRS, with a step-by-step guide to completing IRS Form 1023. Tips on smart budgeting, instructions on how to create a treasurer report, a checklist of important monthly tasks, plus ready-to-use finance and budgeting templates and instructions for completing the annual IRS Form 990-EZ. This comprehensive guide will help both new and veteran secretaries do their job more effectively and efficiently. It includes duties lists divided by corresponding and recording secretary roles, information on preparing for meetings, writing letters, and communicating with members. Everything you need to know to preside over a meeting, from putting together the agenda to the order of business to staying on schedule even when discussion gets heated. Helpful templates and tools for common meeting documents included. Getting organized, getting your group focused, running a successful committee, communicating with parents and other leaders, and more. Current involvement research, dozens of involvement group program ideas, photocopy-ready involvement letters and forms, a ready-to-personalize involvement survey, customizable tools for your group, and more. Information on how to make parents feel welcome, tips for using people's talents (not just their time), effective ways to say thank you, dozens of ideas for volunteer appreciation, and more than 50 ideas for teacher appreciation. A complete how-to guide—from selecting a site to securing donations to suggested bids—plus tips for volunteer recruitment and management, ideas for maximizing profit, decoration suggestions, and more.